THE SMALLEST NEW PROFESSIONAL AND PRECISE RADAR. - It measures ball speed in a range of 35m. - Way of measurement: continue or trigger. It is powered with 2 alkaline AAA batteries:Manual Trigger> 2000 readings, Constant-On> 1 hour. 1 year of guarantee. Case Included. Use GripTight GorillaPod Stand Tripod, to hang in the fence. This product does not give readings to objects that move with lower speeds than 40 km/h. 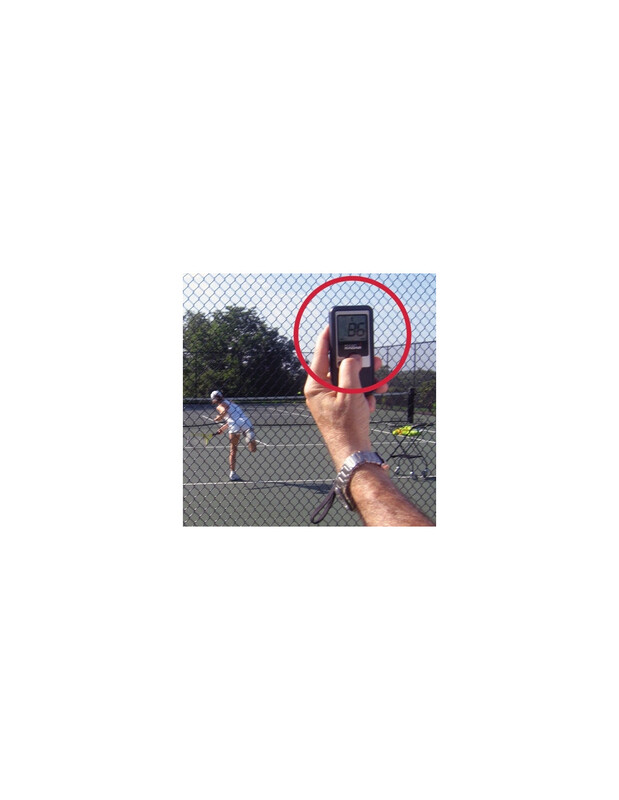 It is a radar very easy to use, ideally for trainers and for parents of players. It is possible to measure from inside the track, from behind the fence or from the network. Simply presses the button when the player is going to strike the ball or leave it in constant measurement. 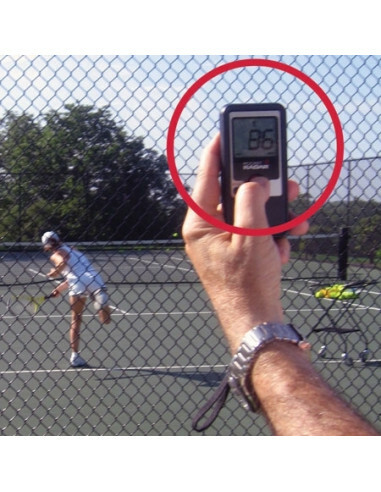 Interesting to measure speed of service, but also to use for forehand strokes and reverse.